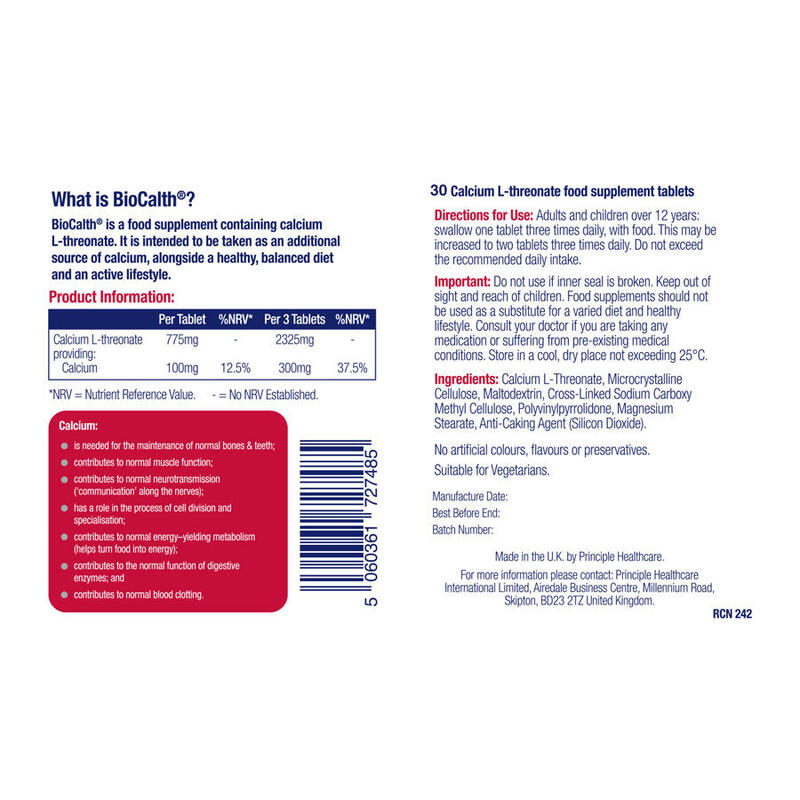 Biocalth® is specifically formulated using Calcium L-Threonate to provide a more bio-available form of calcium to tissues in the body than other products on the market. 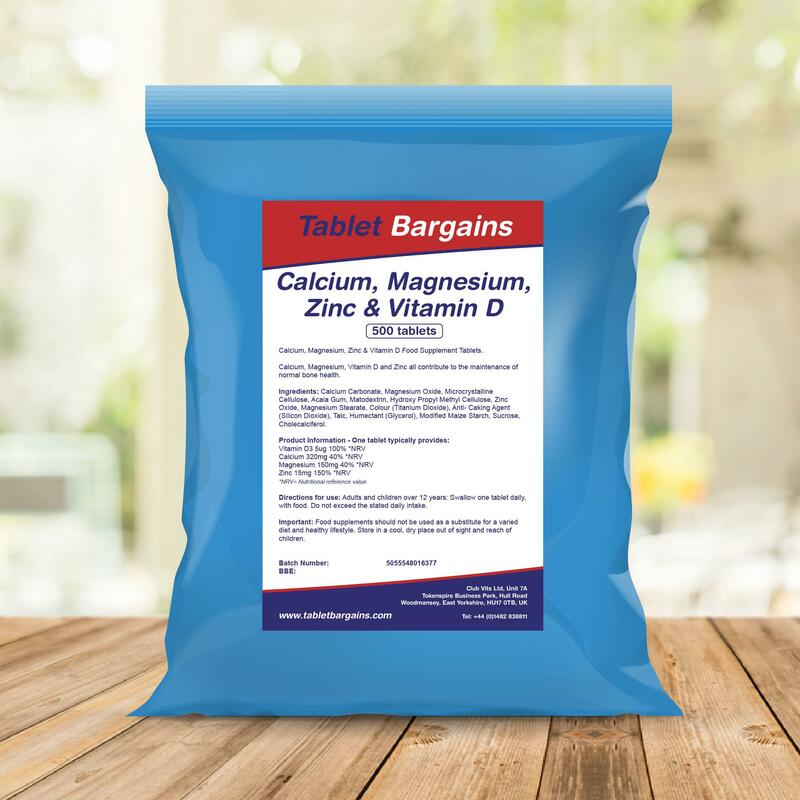 This unique formula contains 775mg of Calcium L-Threonate, equating to 100mg of Calcium per tablet. What are the advantages of Calcium L-Threonate? 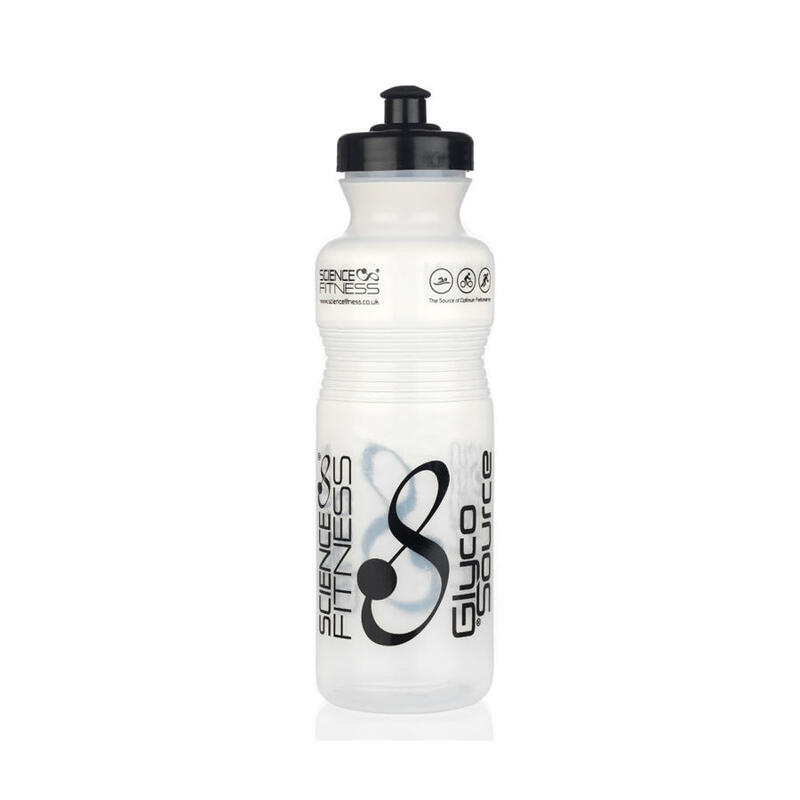 Research shows that L-Threonate enables the body to absorb and deposit Calcium into the bones more effectively than any other form of Calcium. It has a 94% absorption rate compared to the 45% of Calcium Carbonate. 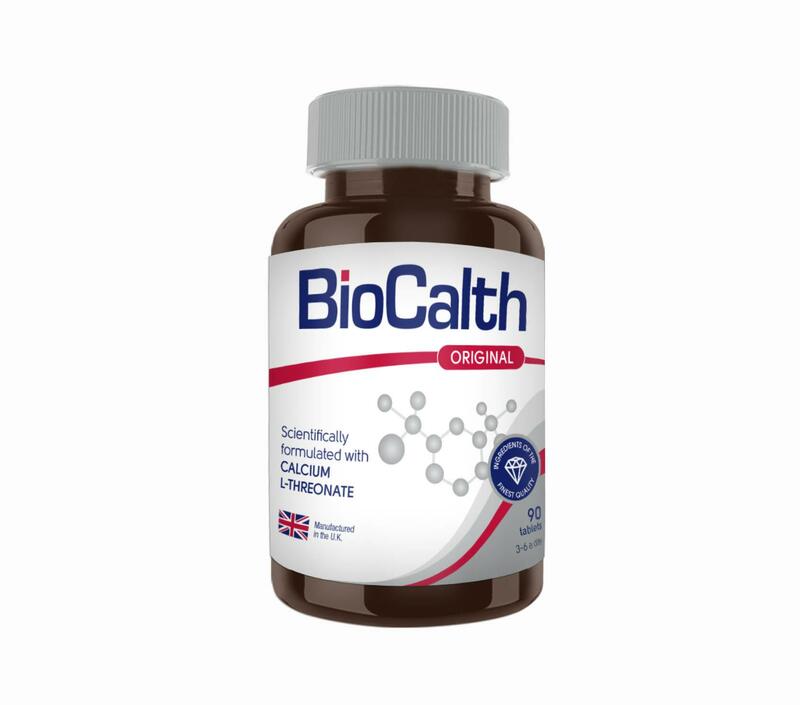 Calcium L-Threonate also has a longer 'Elimination Half-Life' than other calcium salts, meaning it stays in the blood plasma for longer and is absorbed more efficiently. This in turn means less calcium will be excreted or reabsorbed from bone. 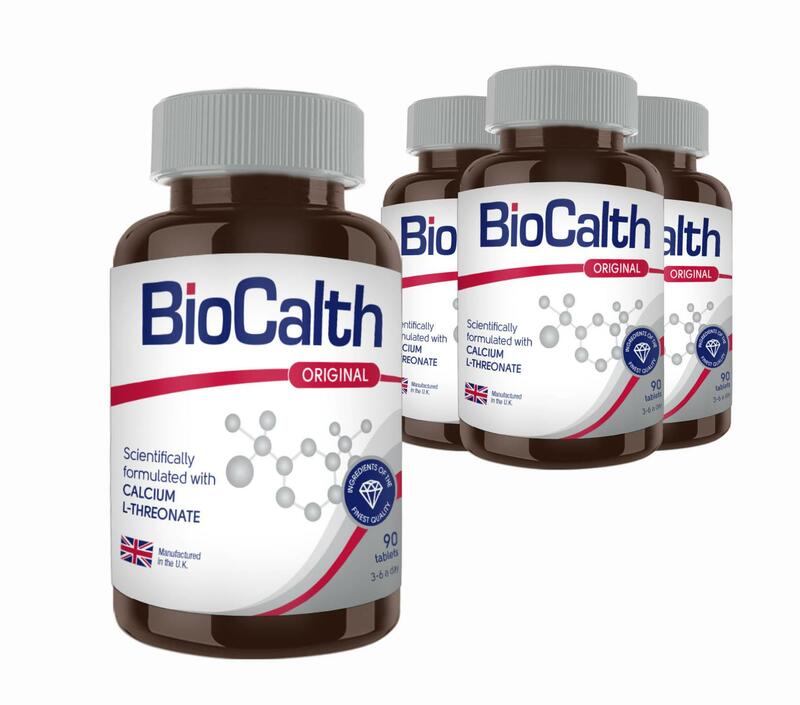 Biocalth® is intended to be taken as an additional source of calcium alongside a healthy, balanced diet and active lifestyle. Calcium has many functions in the body, including helping to build strong bones and teeth, keeping muscle contractions regular and contributing to normal blood clot formation. 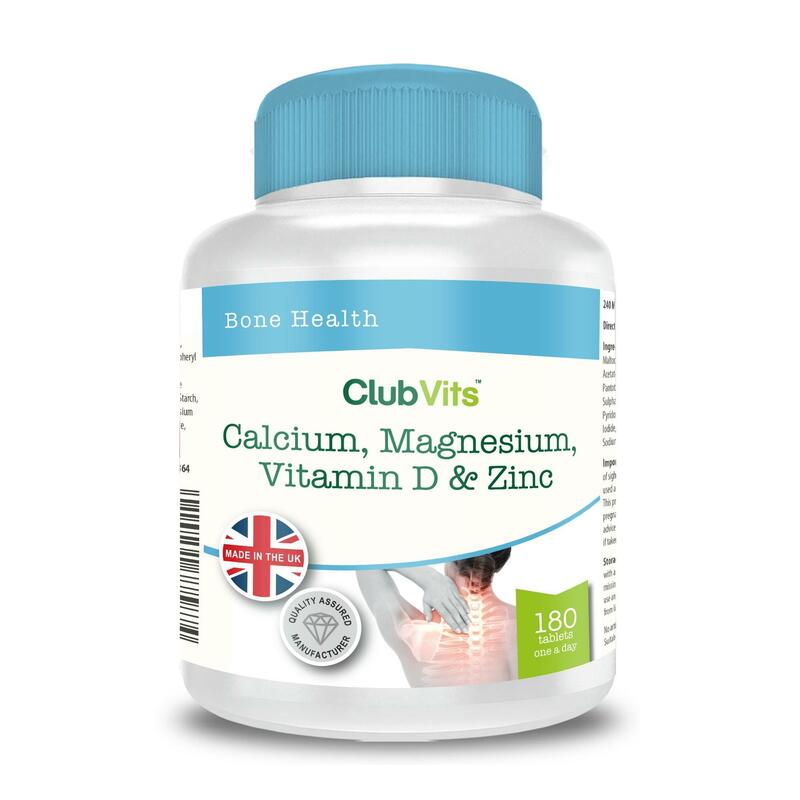 A low intake of calcium has been associated with conditions such as rickets in children and osteomalacia (bone softening) or osteoporosis (bone weakening) in older life. 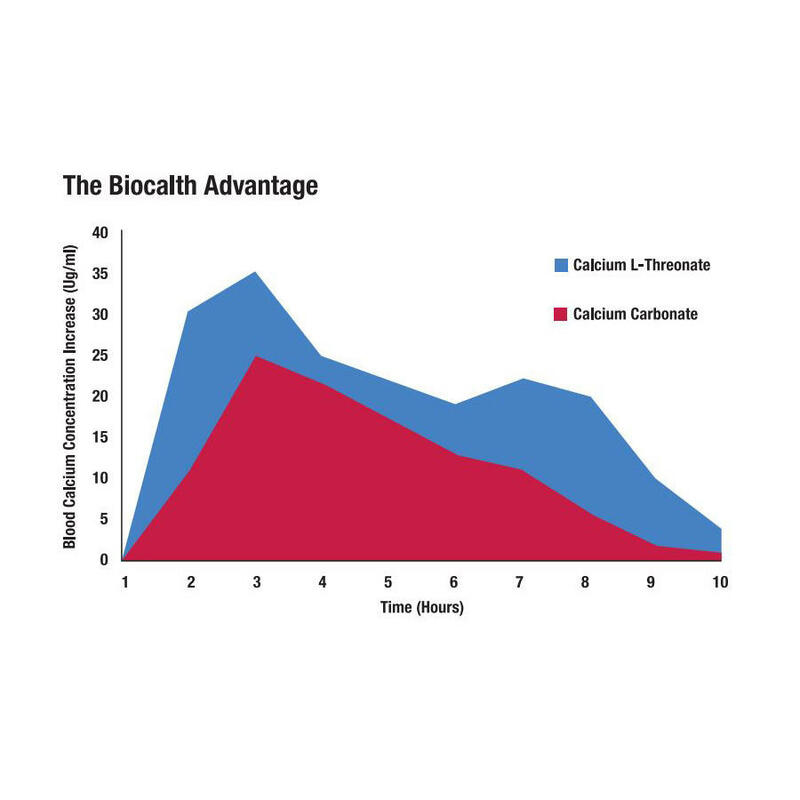 As Biocalth® uses the superior form Calcium L-Threonate, the uptake of calcium and levels in the blood stay higher than if any other form of calcium was taken. The UK government dietary recommendations for an adult is 700mg of calcium per day and in children child circa 1200mg per day. Common sources of calcium in the diet include dairy products, green leafy vegetables, soya beans, tofu, nuts, fortified products and boney fish. 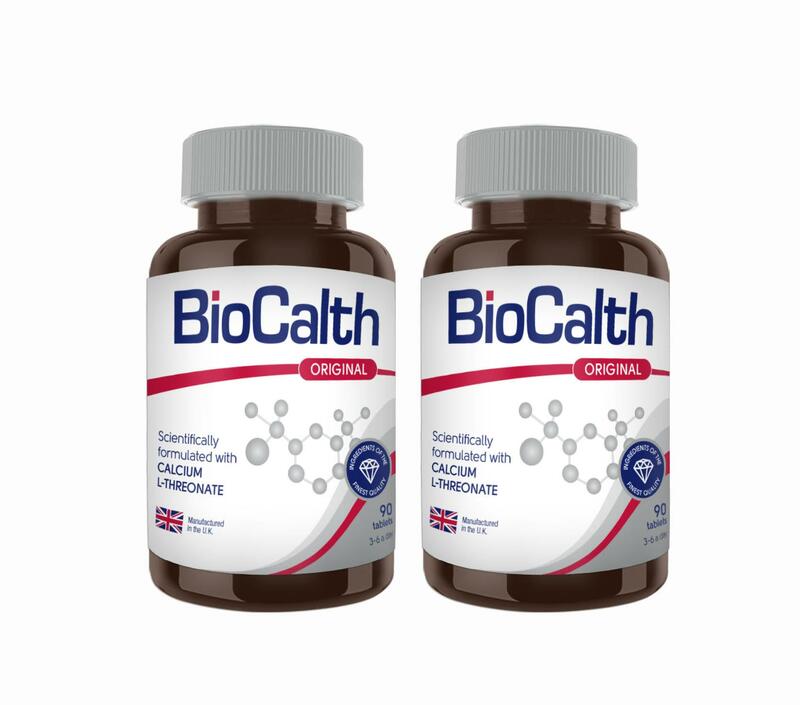 Biocalth® can increase calcium intake, especially if you have increased needs or appetite loss, which can be experienced after illness or with ageing. Take one tablet three times daily, this can be increased to two tables three times daily when necessary. 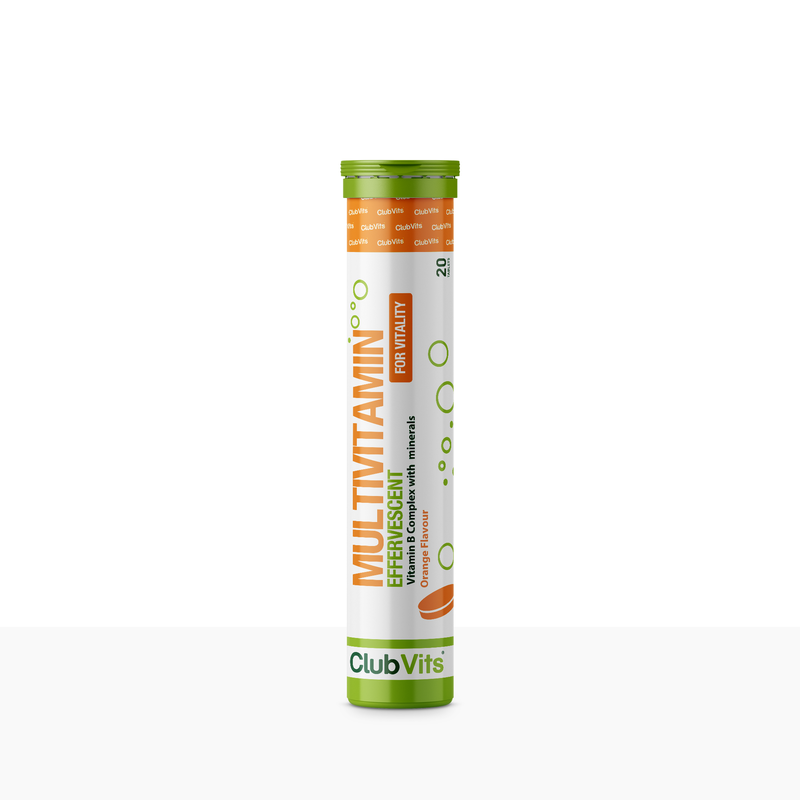 Food supplements should not be used as a substitute for a varied diet and healthy lifestyle. Store in a cool, dry place out of sight and reach of children. If you are on any medication or have a medical history, consult your doctor prior to taking supplements.